Let your loved ones know they are in your heart. Send the gift of warmth and affection in a truly elegant way. Blooming with colour and grace, this flower bouquet of red roses is a wonderful way of expressing your love. It will take your message in the most beautiful manner and deliver it with care to your loved one. Where your pleasure is, there is your treasure: where your treasure, there your heart where your heart, there your happiness. 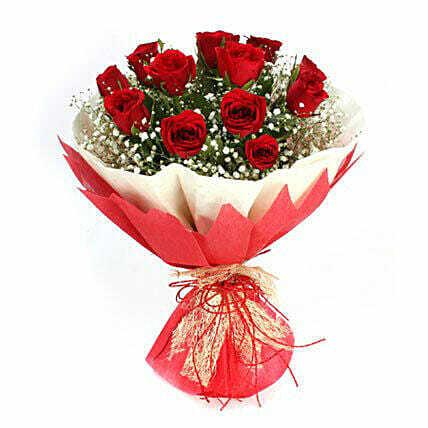 Meaning of flowers: Red roses are the symbol of love and romance. "Time slots are very general 9am to 9am. Having more choice of time slots would have been better. Like 9 am-12 pm 12-3 pm and further on "
"Lovely service, definitely coming back for more occasions."